October | 2015 | Paul's Voyage of Discovery & Etc. 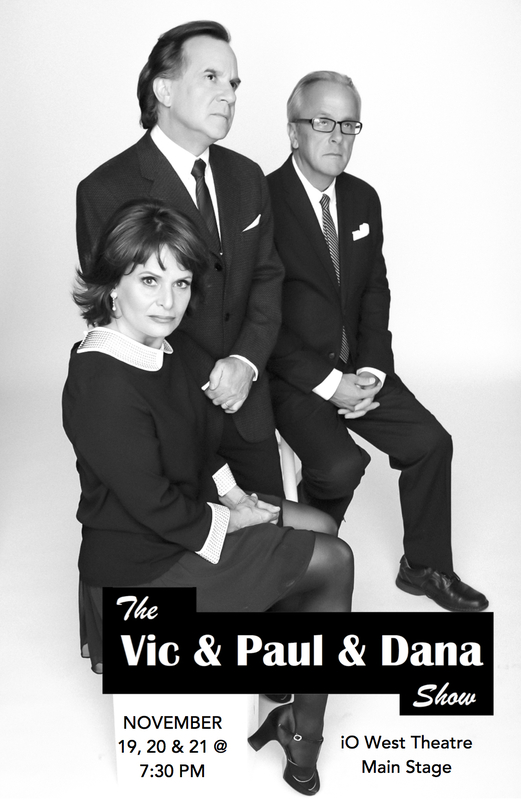 Opening night of “The Vic & Paul & Dana Show” is just four weeks away — on the Main Stage theatre at iO West on Hollywood Boulevard. 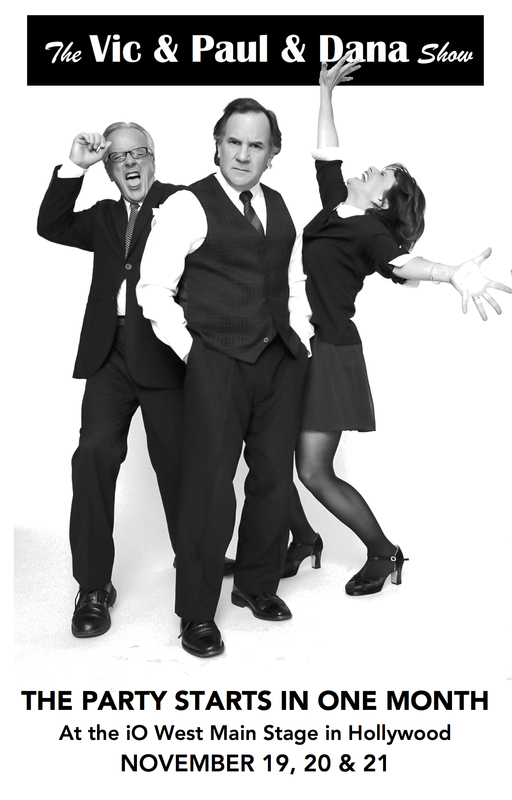 “The Vic & Paul & Dana Show” is an improvisational sketch revue featuring music, comedy and a few cocktails. 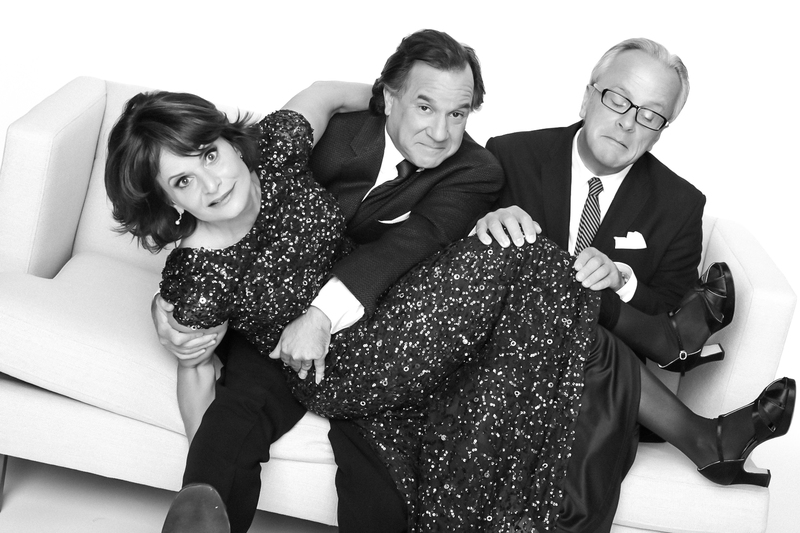 Victoria, Paul and Dana met at Northwestern University in the late 1970’s and happily, their taste for humor and irony – and a neat Manhattan — has not been dulled over the years. 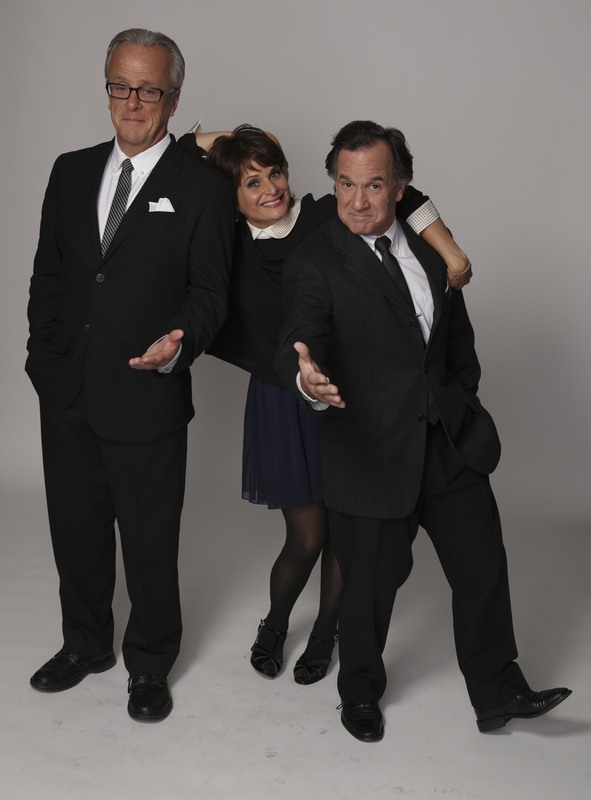 “The Vic & Paul & Dana Show” is a toast to grown up fun amid the craziness of contemporary life: written and performed by Victoria Zielinski, Paul Barrosse and Dana Olsen — with Steve Rashid on keys and Rockin’ Ronny Crawford hitting the skins. 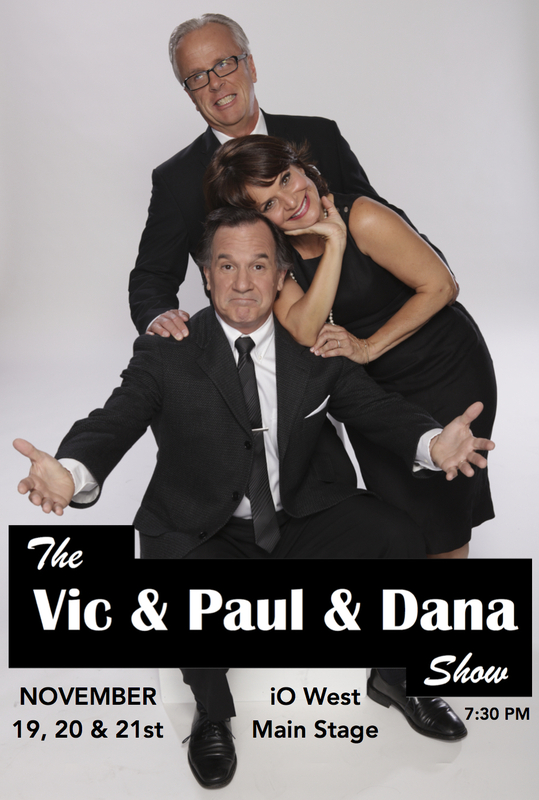 Opening night of “The Vic & Paul & Dana Show” is just one month away on the Main Stage theatre at iO West on Hollywood Boulevard. Victoria, Paul and Dana met at Northwestern University in the late 1970’s – and they’ve been friends and comic colleagues ever since. Happily, their taste for humor and irony – and a neat Manhattan — has not been dulled. 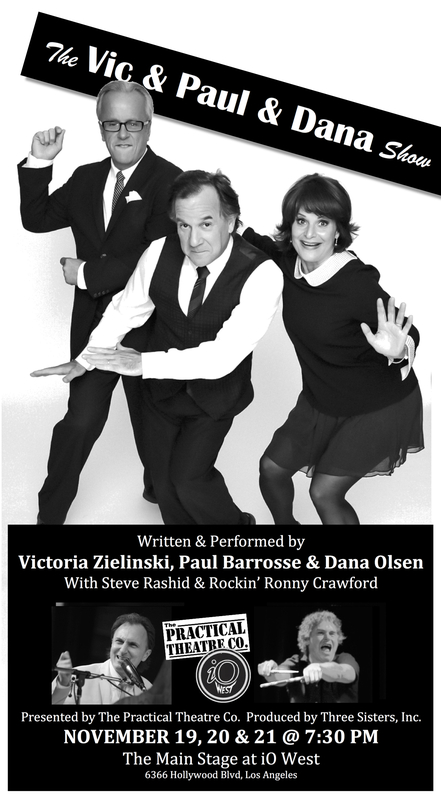 Written and performed by Victoria Zielinski, Paul Barrosse and Dana Olsen — with Steve Rashid on keys and Rockin’ Ronny Crawford hitting the skins– “The Vic & Paul & Dana Show” is a toast to grown up fun amid the craziness of contemporary life. Opening night is just 5 weeks away on the Main Stage theatre at iO West on Hollywood Boulevard. Thinking about going to see “The Vic & Paul & Dana Show”? Opening night is just 6 weeks away – in the very intimate Main Stage theatre at iO West on Hollywood Boulevard. Hey, friends and comedy lovers!